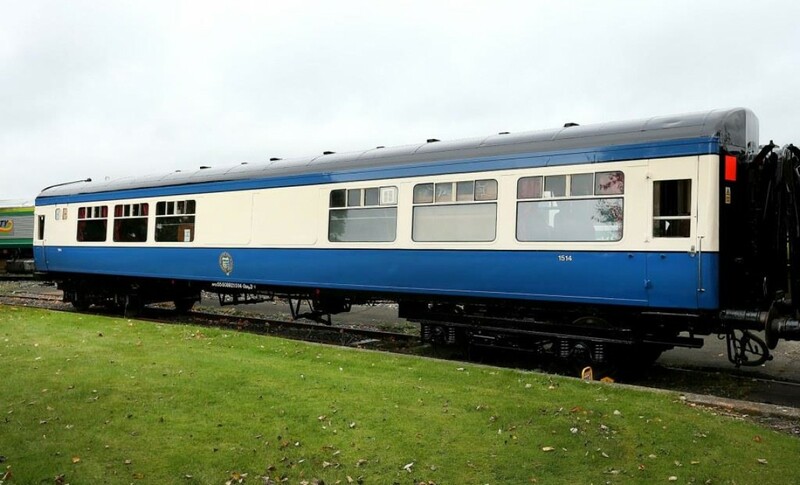 1514 is a 28-seat bar car used in our Dublin based Cravens set. However, she wasn't always a bar car, having being originally built (like all of her sisters) as a 64-seat Standard Open. She was the first vehicle of the second batch of carriages (1514-1543) supplied by Cravens of Sheffield to CIÉ. Unlike the first batch, these were supplied as kits of parts and assembled at Inchicore Works in Dublin. 1514 was one of a select number of Cravens fitted for working as an intermediate trailer in AEC railcar sets (curiously so was 1522, which also went on to be an RPSI catering vehicle). Apart from this detail, 1514 was not particularly remarkable in her CIÉ/IÉ days, but nonetheless gave 42 years of service to Ireland's national rail operator before being withdrawn in late 2006, one of the last Cravens to remain in IÉ service. One of her last known duties in IÉ ownership was "The Boat Train" railtour from Limerick to Rosslare on 25th November 2006, very much on traditional Craven stomping ground. She was acquired by the RPSI for preservation in early 2007. While most of her sisters entered RPSI service over the course of 2008, 1514 remained stored at Inchicore until Easter 2009. By this stage the renovation of 1522 as a diner had been completed by volunteers at Mullingar, and it was now 1514's turn for renovation. The pair were swapped at Mullingar on the 2009 Easter Monday special, and the team set to work on her refurbishment as a bar car. While 1508 had been fitted with a small temporary bar it was always the intention to provide a full permanent bar to allow the Cravens set to offer similar facilities to those in our Heritage vehicle 2421. By Autumn 2010 the renovation had been completed, with a beautiful wooden panelling, a Formica counter top, polished mirrors, stained veneers and her seating reupholstered in red. 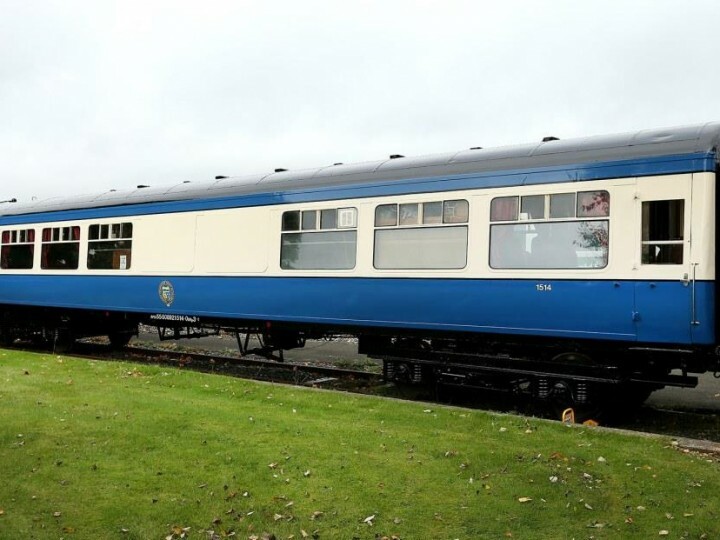 As part of the work two windows were plated over on the 'bar' side, giving her a distinctive external appearance (though with a historical precedent - IÉ plated over two windows at the ends of its converted snack cars, such as 1508). She was returned to Dublin by GM 083 on 30th October 2010, with our Laminate Brake 3rd 1916 acting as a brake van. She entered revenue earning RPSI service on the 2010 "Santa Special" trains and since then has been a popular feature of our Dublin based trains. Up until September 2014 she had continued to operate in IÉ black & orange livery, due to lack of time and volunteer resources to repaint her. 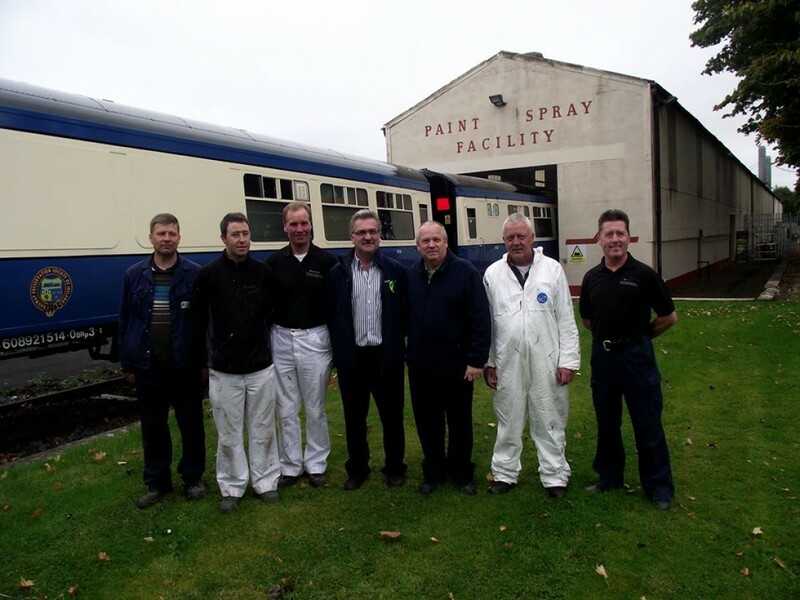 However, thanks to the kind co-operation of IÉ, she was then repainted in the new RPSI blue & cream livery by their Inchicore paint spray facility, along with diner 1522, doing wonders for the external appearance of the vehicles. An important revenue earner on our Dublin trains, travelling in her is a rather unique experience not to be missed - she's always home to a fantastic atmosphere and is one of the few railway vehicles in existence that serve draught stout!